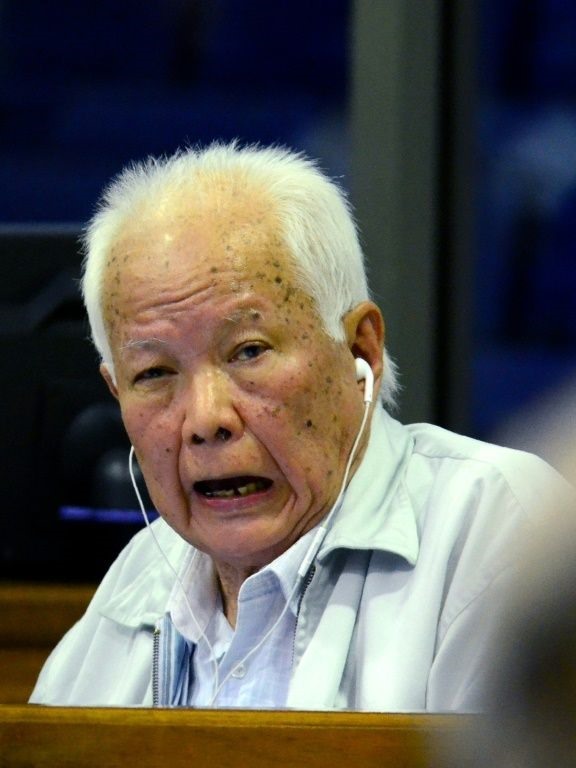 PHNOM PENH — Two top leaders of Cambodia’s Khmer Rouge regime were found guilty of genocide on Friday, in a landmark ruling almost 40 years after the fall of a brutal regime that presided over the deaths of a quarter of the population. The Khmer Rouge’s former head of state Khieu Samphan, 87, and "Brother Number 2" Nuon Chea, 92, are the two most senior living members of the group that seized control of Cambodia from 1975-1979. The reign of terror led by "Brother Number 1" Pol Pot left some two million Cambodians dead from overwork, starvation and mass executions but Friday’s ruling was the first to acknowledge a genocide. 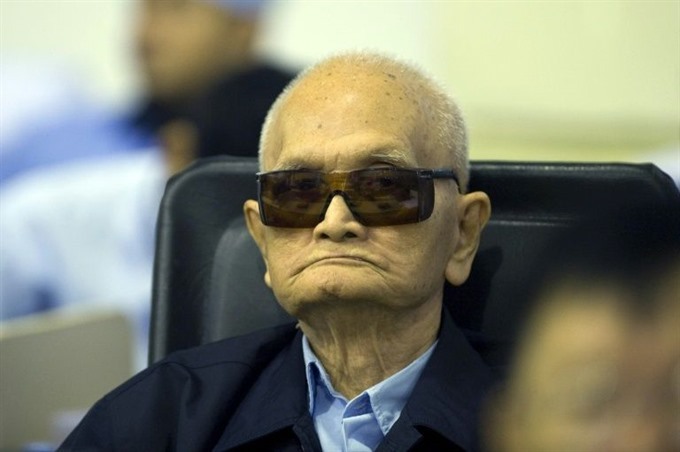 "The chamber finds that Nuon Chea exercised ultimate decision-making power with Pol Pot and... therefore finds Nuon Chea is responsible as a superior for all the crimes," presiding judge Nil Nonn said. "This includes the crime of genocide by killing members of Cham ethnic and religious group." Both parties were sentenced to "life in prison", merging the two sentences into a single term, Nil Nonn said. "The verdict is essentially the Nuremberg judgement for the ECCC and thus carries very significant weight for Cambodia, international criminal justice, and the annals of history," said David Scheffer, who served as the UN secretary general’s special expert on the Khmer Rouge trials from 2012 until last month. Los Sat, a 72-year-old Cham Muslim man who attended the verdict hearing with his wife, said he had lost "too many" family members under the regime. "I am really satisfied with the sentences," he said, beaming as he left the court. "They brought suffering to my relatives." Youk Chhang, head of the Documentation Center of Cambodia -- a research organisation that provided the court with evidence -- said the verdict will "affirm the collective humanity of the victims and give recognition to the horrible suffering". "It can provide a sense of closure to a horrible chapter in Cambodian history," he said.